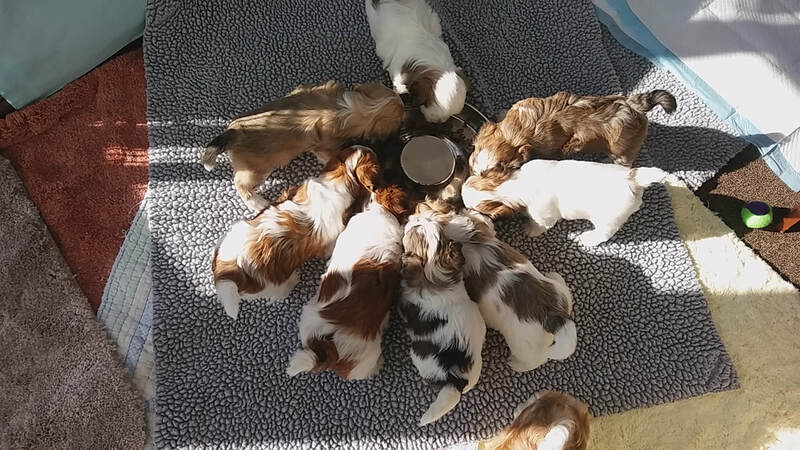 Being weaned onto solid food to prepare for their forever homes! *If you are adopting one of our puppies, you will need to order a bag of Life's Abundance dog food 1 week prior to picking up your pup. With the current news reporting the death & sickness of more & more pets, I am taking more of an interest in knowing what my puppies will be fed throughout their lives. This food has never been recalled, I have seen excellent results in my dogs. If you won't feed Life's Abundance, I must insist that you find a top quality 5 star premium food to feed this pup for the duration of his/her life. I will want to know which food you have chosen. I recommend Life's Abundance! ~Never use raw hide; jerky; cow hooves, etc. Many of these have been recalled and some have caused death. Ask yourself if you would eat it. If not, don't feed it to your pup!